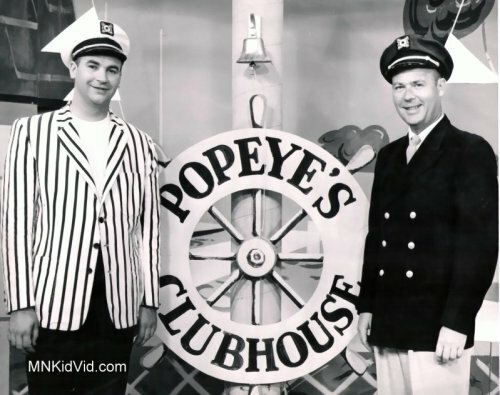 Here’s a rare publicity photo of Bob White (Bob Montgomery) and Dale Woodley, the co-hosts of Popeye’s Clubhouse. The date on the back of the photo is 1956, and there is an address label indicating this may have come from Bob Montgomery. I’ll have to do some more research about Popeye’s Clubhouse. I’ve got conflicting information about the dates of the show. I know it was originally hosted by Mel Jass. Woodley and Montgomery appear to have taken over the show at some point between 1954 and 1957.